This 1982 Northshore 27 is a well presented example of this popular pocket cruiser, Perfect for overnighting and twilighting. This vessel appears in sound structural condition. Where visible, the bulkheads appear well bonded to the hull structure and the GRP laminates appear sound. Where visible the hull / deck join appears sound. Electronics are working and wiring has been professionally installed. 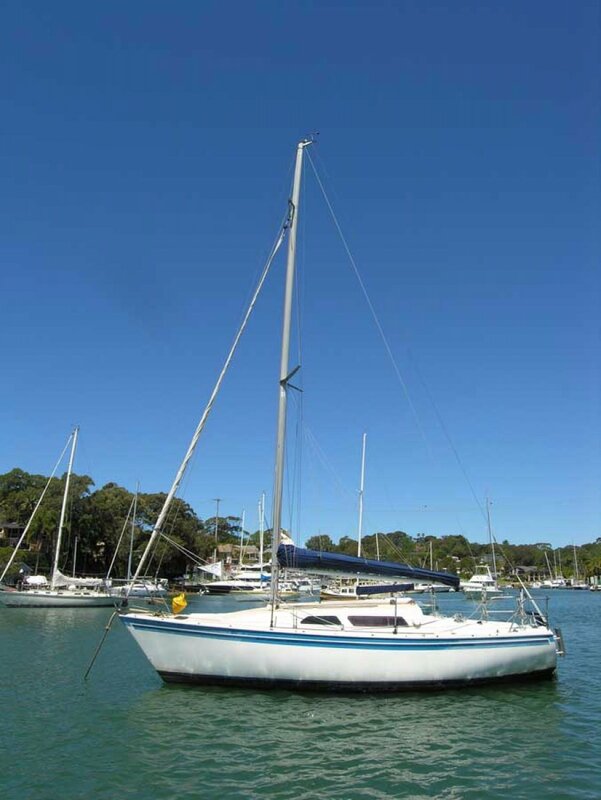 Mast and rig appear in good condition and of adequate size for this yacht. Interior fit out is in reasonable condition.. This yacht is in seaworthy condition. Accommodation consists of a double berth forward, two saloon berths and a starboard quarter berth. There is an enclosed head to port forward of the companionway. A galley is located to starboard aft of the saloon. GRP internal and varnished joinery are in reasonable condition. The PVC sink has cold water available. Hoses and clamps are in good condition. The top-loading ice box is in good condition. Most cupboards and catches are in working condition. Plough anchor with galvanised chain and rope. Two maintenance free batteries are fitted below the starboard quarter berth. A battery isolator switch is fitted to starboard of the engine box. The navigation lights are working. The interior lights are working. Main on boom with cover and lazy jacks fitted. Single set of swept-back spreaders. The deck step appears sound. Ronstan mainsheet system and blocks. All appear in working condition. The boat is in good order apart from no engine, I do have quotes for a new engine but I am looking to move up in size so am selling as is. I have a survey from 2014 which is still applicable.